Meet Isaac, an up-and-coming young “sparkie" (a.k.a electrician) with a lot of ambition. We caught up with him on a recent job to talk about his work and how he came to be the field. The excitement in his eyes is apparent as he talked about the path laid out for him by his uncles, who were in the trades. He notes the skills needed to do his job – mechanical aptitude, common sense, good listening and critical thinking skills. He says that what sets someone apart is their ability to take direction, handle constructive criticism, and see the big picture. Joining Lemberg in 2004, he cut his teeth as a Construction Wireman ("CW"), soaking up the early training from his mentors and appreciating Lemberg's do-it-right-the-first-time attitude. 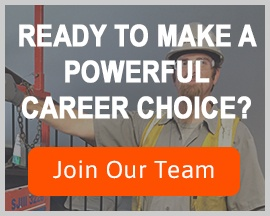 After working his way through the Milwaukee Electrical Joint Apprenticeship program, he now takes every opportunity to gain leadership experience. Having had several opportunities to lead projects, including work at Miller Park and the MAC Cosmetics store at Mayfair Mall, Isaac said he appreciates the challenge that comes with difficult work. Cyrs agrees and points out the cold conditions at Miller Park and the high end nature of the work in the MAC store that presented challenges that Isaac overcame. 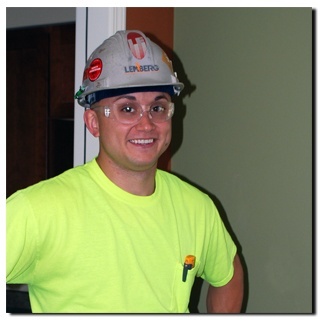 Isaac manages aggressive timelines and enjoys collaborating with Lemberg’s Data Communication team and other trades on the jobsite, but developing a good rapport with the client is the icing on the proverbial cake. In a recent conversation with the president of Lemberg, Dave Washebek, Isaac was asked where he saw himself in five or ten years. Isaac admits he is setting his sights first on foreman but he’s not stopping there. He’s reaching even higher. Based on the ambition he shows, there’s no doubt he’ll get there, but for now he’s a “sparkie” with a mission to do the best job he can do.